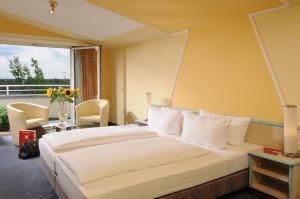 5 km from Schönefeld Airport, this hotel lies in the elegant Rudow district of Berlin. A delicious buffet breakfast is served each morning at the Hotel Aviv am Flughafen. Krokusstraße Bus Stop is just 300 metres from Hotel Aviv. Zwickauer Damm Underground Station is a 5-minute walk away, and provides a direct connection on the U7 line to central Berlin. 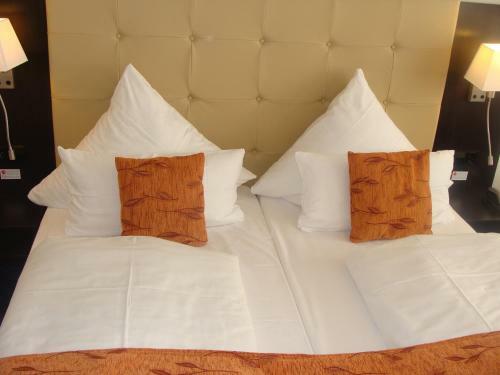 Leonardo Hotel Berlin City Süd price per day from €42 This modern hotel is peacefully located in Berlin’s south-eastern Rudow district, a 15-minute drive to Schönefeld Airport. It is 1 km from Johannisthaler Chaussee Underground Station, offering connections to the city centre. Guests at the Leonardo Hotel Berlin City Süd start their day with a breakfast buffet and can enjoy tasty coffee in the bright conservatory. The Leonardo Hotel offers excellent access to the A100 and A113 city motorways. AZIMUT Hotel Berlin City South price per day from €37 A 10-minute drive from Berlin’s Schönefeld Airport, this hotel offers a 24-hour bar with Sky TV. The A100 and A113 motorways are just 5 minutes away. Guests receive a complimentary bottle of water upon arrival. Guests can work out in the AZIMUT's gym or simply relax on the garden terrace. 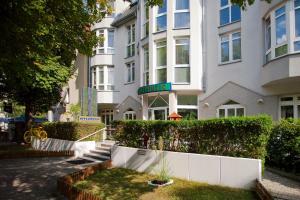 Several international restaurants are within a 5-minute walk of the AZIMUT Berlin City South. A 15-minute walk takes you to the Gropius-Passagen shopping centre and the Johannisthaler Chaussee Underground Station. 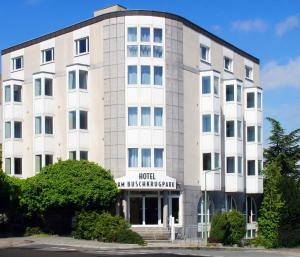 Hotel Garni an der Gropiusstadt price per day from €63 This family-run, 2-star hotel is located in the district of Rudow, on the south-eastern outskirts of Berlin, close to Schönefeld Airport. 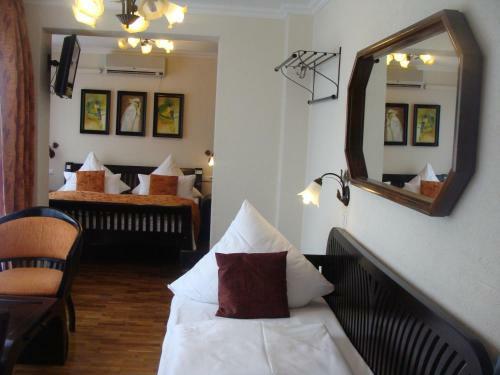 The hotel offers elegant rooms, some with a balcony. 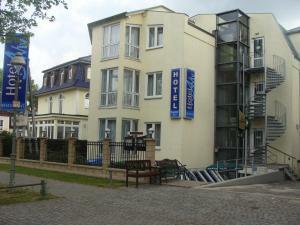 The non-smoking Hotel Garni an der Gropiusstadt is set in a pleasant residential area, with many fine shopping facilities nearby. 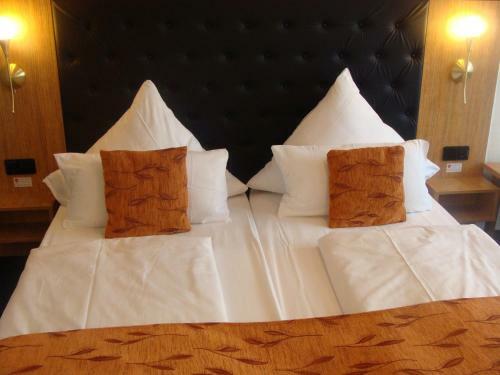 The hotel is close to the A113 motorway as well as an underground station, meaning that you can conveniently get to all of Berlin’s major sights and attractions, such as the Brandenburg Gate or the Kurfürstendamm boulevard.